With increasing usage of the village hall, bowling and tennis facilities, on-site parking capacity can be quickly filled. Parking on adjacent roads, particularly if vehicles partially obstruct pavements, can cause inconvenience to local residents. This is not an issue confined to the area surrounding the village hall within the village, nor to Hutton Rudby alone. 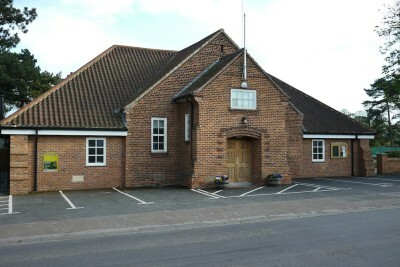 At the request of local residents the issues has been discussed by the village hall trustees and also at the Parish Council. The trustees recognise the problem and would seek to raise everyone’s awareness of their own potential role in working towards a solution to the mutual benefit of local residents and hall users alike. Legislation surrounding this issue is complex and evolving as indicated by the following links to representative documentation addressing this issue. The trustees are committed to supporting the enjoyment of hall users and simultaneously minimising the potential nuisance caused by activities within the hall, particularly with regard to loud music and noisy behaviour around the main entrance and play area, which are the principal causes of nuisance to neighbours. We have consulted with acoustic engineers and environmental health officers and on advice have embarked upon a program of measures to limit possible nuisance due to noise. Sound insulating tiles have been installed on the inside of the overstage roof and acoustic tertiary glazing has been applied to windows. Where appropriate, door closers are fitted and acoustic seals inserted, and an external porch extension has been constructed to provided additional acoustic insulation around the exit door from the lounge/bar area. These efforts will have limited effect without the co-operation of hall users. Keeping the external doors and windows closed, particularly when music is playing, has been shown to have a major impact on reducing the amount of nuisance caused. So that users of the hall can continue to enjoy the facilities with minimal disturbance to neighbours, hirers are requested to keep external doors and doors adjacent to the stage area closed when music is being played, and to cease live music on stage after 11.00 pm. Performers are requested to familiarise themselves with the noise limiter installed in the main hall. These simple measures should significantly reduce the number of complaints received about noise originating from activities within the main hall. We are now receiving complaints relating to activities outside the hall. Noisy behaviour in the play area to the rear of the hall or groups congregating around the main entrances and exits are increasingly being identified as sources of complaint. We would urge hall users to be considerate towards local residents when entering and leaving the premises and when enjoying the outside amenities. This is by no means a problem confined to Hutton Rudby Village Hall. There is a great deal of guidance available on how to reduce unacceptable levels of noise from community premises which is a licensing pre-requisite and links to representative publications are provided below. there is a large amount of useful information on the web. Legislation and it’s interpretation is constantly changing. Sites may be modified or withdrawn. Yorkshire Ambulance have donated a portable defibrillator to the village and following consultation between the Parish Council and the Trustees of the village hall it was agreed that the most appropriate site for installation would be at the Village Hall in an easily accessible prominent position but without detracting too much from the facade of the hall. The defibrillator is contained within a highly visible yellow safe affixed to the wall, controlled by a key code which will be released by the ambulance service in response to a 999 call.